The Stone Restoration project of Baravore Crusher house, Glenmalure is a majestic stone structure built into the side of the Wicklow mountains. It was built in the late 1850’s to service the demand for metals during the industrial revolution in England. Baravore has rich veins in Ore, Lead, Copper and Zinc minerals. 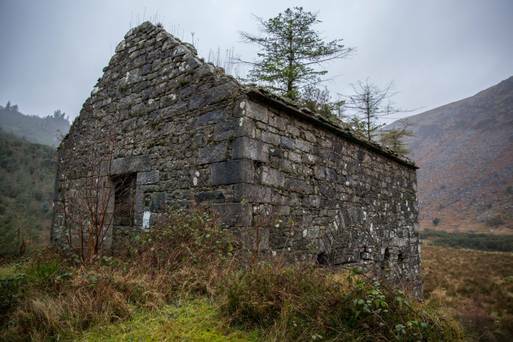 The Crusher House was originally built to crush down the stone to extract the minerals. 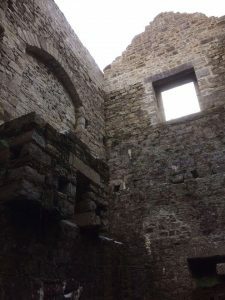 The stone was fed into the top side of the building where a crushing mechanism was used to crush the stone. The ram was driven by a water wheel which was powered by the supply of water running from leats or streams coming down the Wicklow mountains. Stone Restoration work started on the structure in September 2016. I remember viewing the Crusher House for the first time, we had to cross a river then over a stream that lead to an overgrown track which lead up to the Crusher House. When we arrived at the top side of the house the first thing I thought of was “this is going to be a logistical nightmare to get materials to the project” given the remote natureof the site, I thought of a helicopter but in the end settled with a dumper. The dumper truck proved invaluable as we had to haul Stone, Sand, Lime, Water and Scaffolding. 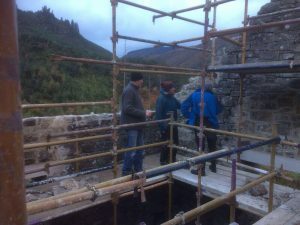 First we erected the scaffolding which we had to put up in the inside of the building as most of the work entailed flaunching, repointing, Stone Restoration and replacement on the higher parts of the structure. From a security point of view we only had two openings to secure that the site was safe. When the scaffold was in place the work could commence. First up was to replace the two granite heads over two windows which had vanished. I got McEvoys of Ballyknockan to cut two heads to match the buildings original aesthetics. The Granite head on the road side gable was tricky as the Stone Restoration work above it was in a very precarious state and had to be supported with timbers. When the Stone Restoration above the head was rebuilt and secured we could breath a little easier. The second head was then bedded in and the stone work rebuilt above it. We used a hot traditional lime mortar for the restoration works on the Crusher House. At the higher levels there was a lot of loose Stone Restoration and Traditional Repointing to be done. There were trees and shrubbery growing out of the wall tops which we removed. When the wall tops were cleaned down we could flaunch them and protect the walls from the weather. 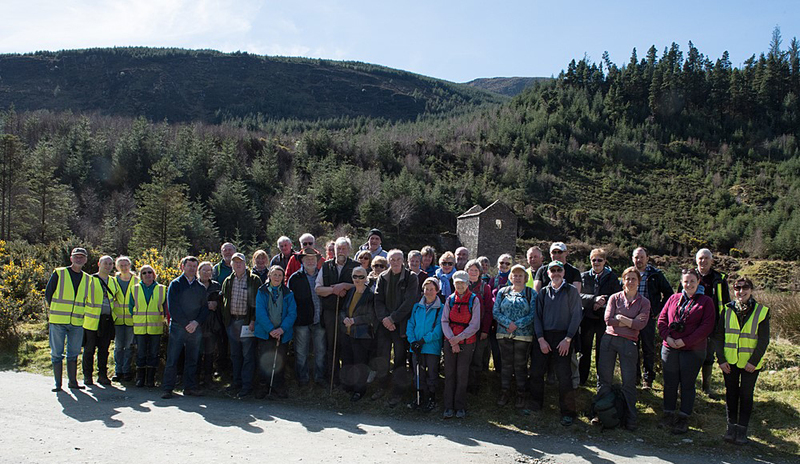 On the 25th of March 2017 Coillte held an open day at the Historic Mining structure inviting the local community of Glenmalure Co. Wicklow to celebrate and experience the Stone Restoration work carried out. A representative from Coillte Pat Neville opened up the day giving a brief overview of the project and the history of the area surrounding the Ore-Crushing Facility. We also had the pleasure of having Roisin Burke from Abarta Heritage to exhibit an archaeological excavation on the grounds of the site bringing back the layers of history attached to the building. I then followed with a presentation giving an overview and demonstration of the Stone Restoration I had carried out on this historical project. 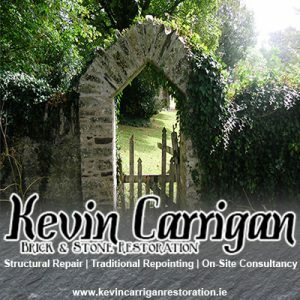 I also gave the local community information on the methods used by our Stone Mason’s in traditional lime mortar restoration used in Ireland which we use in our Brick and Stone Restoration projects throughout the country. Along with this giving a live demonstration of hot lime mixing. 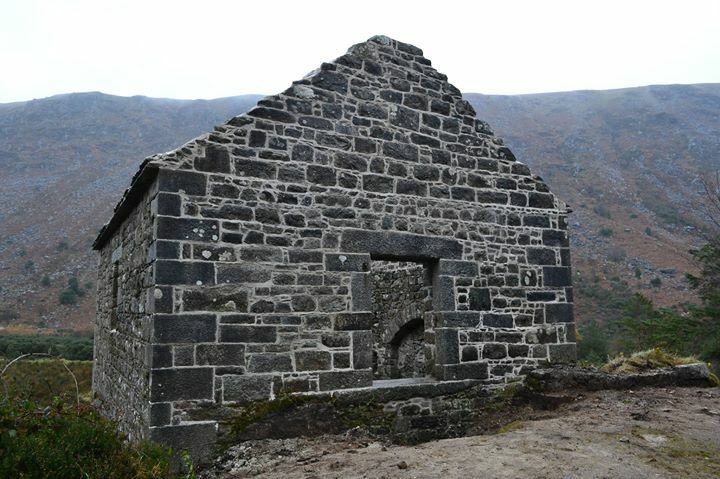 You will find below an image showcasing finished Stone Restoration project of Baravore Crusher House, Glenmalore Co. Wicklow. It was a beautiful project to work on in a scenic part of Ireland. 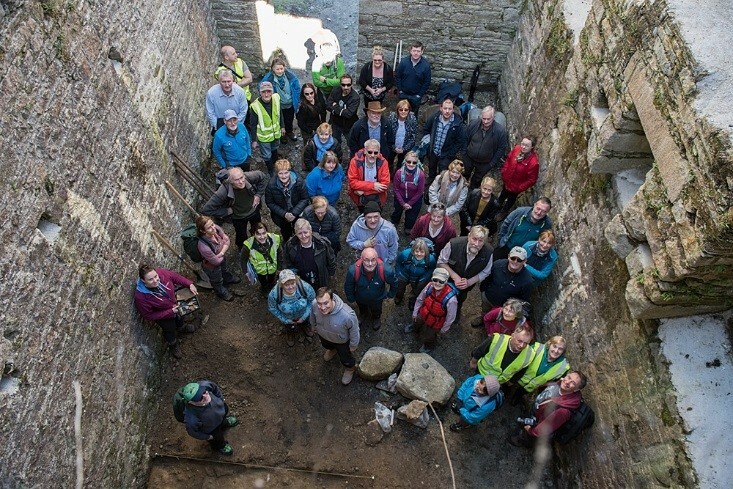 Most importantly it was pleasure to work with Coillte, Wicklow Co. Council and most importantly Carmel O’Toole and the PURE mile committee on the restoration of Baravore Crusher House Co. Wicklow. I would also like to thank Ivor McElveen for his insight and knowledge as engineer of the project.